Robots and paint lines are the #4 leading source of paint defects. 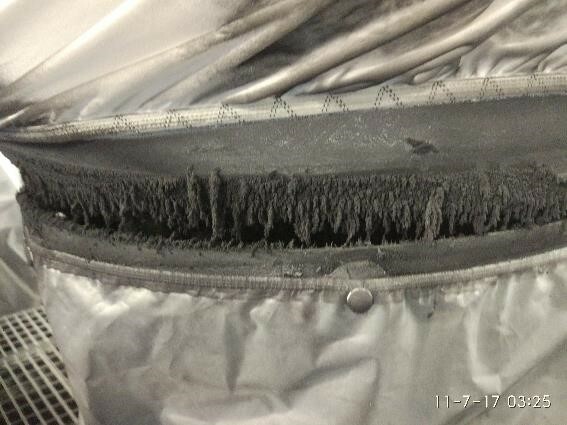 Fabric covers require constant cleaning and are expensive to replace; yet are the leading source of fiber paint defects. Moreover, the highly articulated movements stress the elasticity of fabric covers and easily dislodge dried paint overspray particles. Electrostatic painting aggravates the situation as overspray migrates to the electrostatically charged robot, rather than migrating to treatment system below. 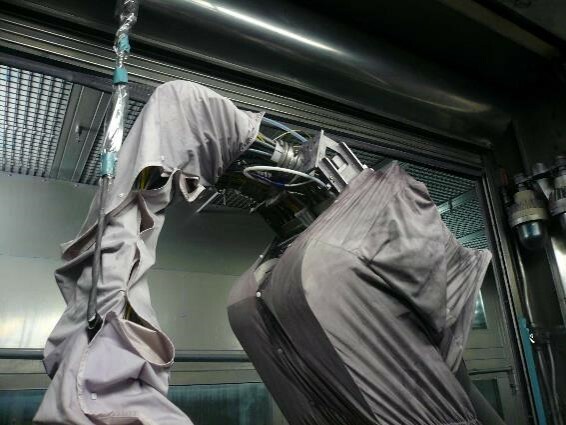 RobotSaver™ covers protect the robot’s mechanics and provide easy visual inspection. They reduce the overspray’s electrostatic attraction to the robot thus reducing overspray buildup. The cover’s elongation matches that of the paint overspray so that it does not “knock” off during movements. 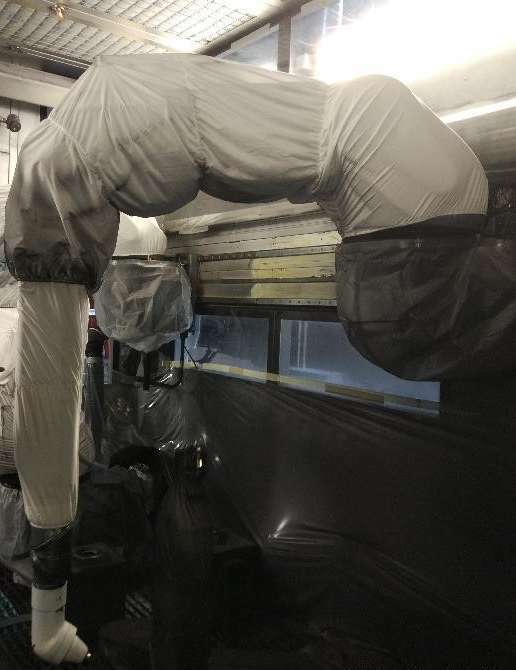 The multi-sectional covers allow rapid and frequent replacement of heavy overspray zones without the time or expense of replacing the entire set.